Try this fun piece for entertaining! Call it fondue or fondu. 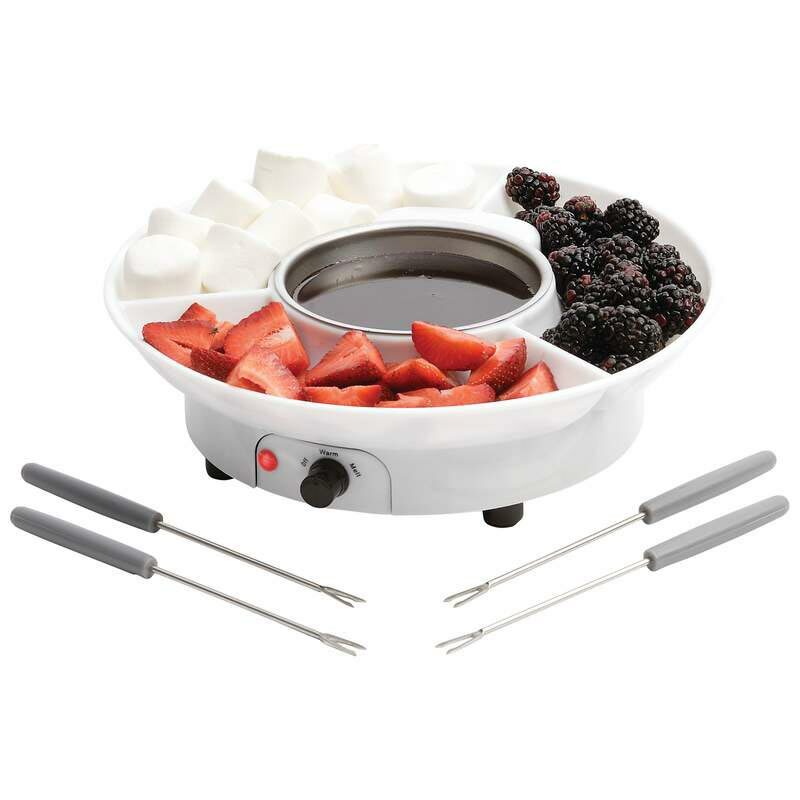 Either way, wow your guests or your family with this intriguing fondue pot with metal heating bowl and skewers. Imagine the variety of fruits, vegetables, or breads you could serve with the Wyndham House™ Electric Chocolate Fondue set. Try cheese fondue as well as chocolate fondue. Electric fondue makers are easy to use, quicker to heat than the old style pot fondue, and safer, too. This fondue set will be a welcome addition to any cook's kitchen. Sectioned serving dish Holds a minimun of 3 types of fruits, vegetables, or breads for making chocolate/cheese fondue. Heat control knob Offers a range of temperatures to keep the fondue de chocolate at the best temperature for tasty results. Metal fondu bowl Provides a sturdy container for heating and serving chocolate fondue chocolate or melted fondue cheese . Gift boxed fondue set Is an attractive idea for bridal shower, house warming, and hostess gifts.